Dr Satendra Singh, MD, is Associate Professor of Physiology at University College of Medical Sciences and GTB Hospital, Delhi. 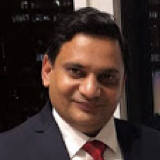 He is also an Executive Member of the Delhi Medical Council as well as of the Academy of Health Professions Educators, and is Adjunct faculty at Department of Medical Education, KMC, Manipal Academy of Higher Education. Ten years ago, a series of serendipitous events propelled him and his mentors, Navjeevan Singh and Upreet Dhaliwal, to explore the Medical humanities. They founded the Medical Humanities Group at UCMS in 2009 and launched an open access, peer-reviewed, online journal ‘Research & Humanities in Medical Education’ (www.rhime.in/ojs) in 2014. He is the Deputy Editor-in-Chief of RHiME. He is also a disability rights activist and is the first person from India to be awarded the Henry Viscardi award which honours exemplary leaders in the disability community. He is serving on the committees constituted by the Government of Delhi to start a separate Department on Disability; for making elections accessible to people with disabilities; and on the creation of Physical Medicine & Rehabilitation Departments in the teaching hospitals of the Government of Delhi. His interests include disability ethics, health humanities, mental health and diversity and inclusion in health professions education.